World War I. World War II. Korea. Vietnam. Bosnia. Iraq. Afghanistan. The list of American wartime involvement for the past 100 years runs long, but the stories of those who served (and continue to serve) are sometimes lost amidst political squabbling, new global threats and veterans’ own desires to leave the past behind. 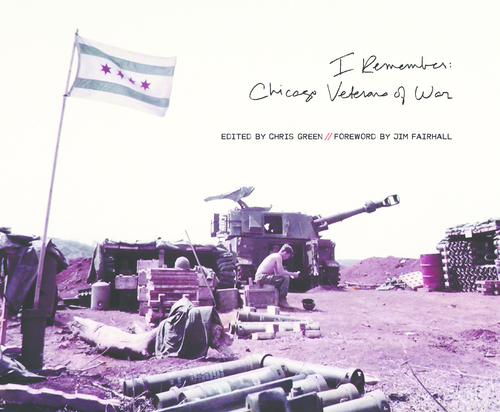 This Veteran’s Day, honor our nation’s veterans by reading a few excerpts from “I Remember” below. Visit this link if you’d like your own free copy of the book. “I remember it was pitch black and we were on our way, each one of us in our full kit layered with armor, ammo, and a 60-pound rucksack with supplies and more ammo. I remember we had a six-mile journey ahead of us, two villages, three peaks, and a mountain, before digging into our positions where we would lie motionless for the next three days. I remember smelling a village fire. I could hear dogs howling in the distance. We crossed a 100-foot river. It deepened with every step I took, felt as if I was walking in ice. I remember we were forced to skirt the outside of the village. The walls made of mud, and their doors made of sheets. I remember we were ants on a mission, one behind the other evenly spaced as we tracked across the desert. I remember hearing in the distance the Afghanis singing their morning prayers over the loudspeaker. I remember welcoming the warmth of the rising sun as it enveloped us. I remember thinking, how could such a devastating and treacherous place hold such beauty? “I remember the cultural shock of jumping, in 1943, from the freshman class of the University of Chicago, where I studied The Great Books under Hutchins and didn’t know much else at 19, and suddenly being plunged into the Mule Pack, a branch of the field artillery arm that specialized in loading howitzers on the backs of mules, driving them up mountains and shooting the guns down at enemies below. I found myself in a barracks full of Texas and Oklahoma wranglers who chewed tobacco, spoke a strange version of English and liked to gamble and drink and chase. I didn’t know anything about any of these things, but I learned. I remember a very cold very early Christmas morning in France, jouncing around in the back of an Army truck, looking through bleary eyes at the highway reeling away from me and the dock where we had just disembarked, now and then a shot-up German armored vehicle perched on the high roadside banks slipping by and our mammoth howitzer lunging and jerking just behind. I remember the hollow feeling in my stomach: hunger or fear? “I remember praying only once in Vietnam…I prayed for my sanity. I remember B-52 bombers at night lighting up the sky for miles and the ground shaking. I remember using a big rock as a pillow. “I remember the unbearable cold embedded into my bones. I remember how hungry I was, my food gritty with sand but still it tasted so good. I remember the smell of diesel fluid. I remember waking up with the outdoors, sleeping under the stars, how bright the night sky was and how many stars. I remember these moments of peace in my long day and days ahead. I remember how proud I was to wear my uniform, the traditions behind it I had earned. I remember the frustrations of long lines and not understanding things, feeling lost in a big city. “I remember seeing my brother Bernie’s face in a tent in Venosa, Italy during World War II. I remember he considered me a kid. I looked up to him as my oldest brother. When he got married I was twelve years old. Bernie went into the infantry and he was at the Battle of Anzio where he was injured. As a 114 lb. 18-year-old from Chicago, I went to Italy with the Fifteenth Air Force as a flight engineer on a B24. As a clerk in Naples, Bernie saw the shipping orders of my arrival into Naples. All slideshow images courtesy of “I Remember” contributors.